The state capitol of Illinois is ground zero of a contagious outbreak of war fever. The origins, I’m afraid, may lie in part in a resolution I drafted that was passed, with various modifications, by numerous cities around the United States and by the U.S. Conference of Mayors. 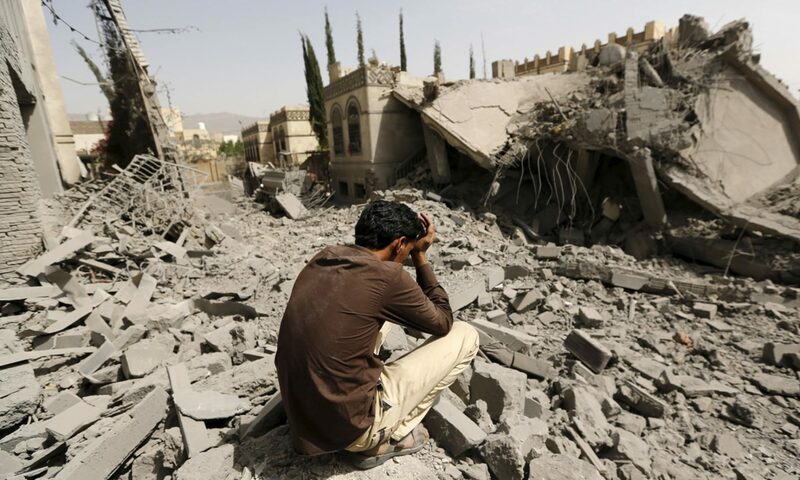 The resolution did educate some people, create some good discussion, generate some attention for antiwar organizing, and bring some peace groups together in a coordinated effort to advance a number of similar resolutions. But its demand that Congress move money from the military to human and environmental needs, rather than the other way around, has not yet been met. In fact, Congress has given the military even more money than Trump had proposed. The text of the resolution is apparently safe for urban dwellers to handle. But evidence suggests that it may be toxic to genetically modified state legislators. I thank Robert Naiman for alerting me to a video of what happened when it came into contact with Illinois state representatives. In watching the video, at first the virus seems to produce no reaction. State Rep. Laura Fine describes the resolution accurately and notes the polling that indicates its agreement with the public at large. Very quickly, however, Rep. Jeanne Ives suffers clear cognitive impairment. She yells out that she does not want her son to fly an “unfit” plane, as if a reduced military budget would produce just as many airplanes but ones even more likely to crash than the F35. 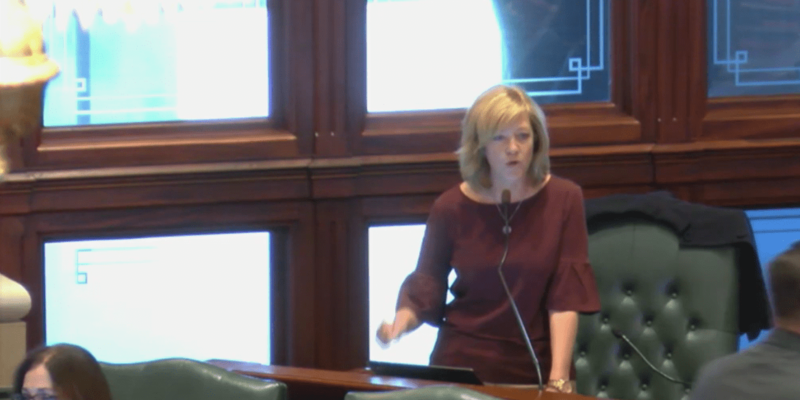 During her rant, Rep. Ives appears to suffer a worsening of symptoms. At one point she denounces the government in which she is yelling incoherently as “the worst run state in the union.” In the same breath she says that state legislators should not have opinions on federal spending, says that especially those with no family in the military should have no such opinions, and gives her opinion — which is apparently for unlimited military funding. By the time Ives has run out of breath, the virus has clearly spread through the chamber. Rep. David Harris wobbles to his feet to declare entirely falsely that the resolution calls for a complete elimination of the military budget, and just as falsely that military spending is for the benefit of soldiers, and then — way over the top into the ludicrous — that all these wars are “protecting our freedom.” Yet no medical personnel appear on the scene and no alarms are heard. Rep. Carol Ammons, with no mask or other protection, seems entirely unaffected by the disease. She praises the resolution as opposition to the threat of cuts to Social Security. Rep. C.D. Davidsmeyer quickly takes over, however, with contagious puss oozing from his mouth and nose. Clearly in a state of delirium, he announces that if Trump were cutting the military to fund human and environmental needs then supporters of the resolution would rewrite it to say the opposite. The politician comes out against politics before collapsing in his seat. Rep. Allen Skillicorn coughs out his fervent opinion against having any opinion, and, recognizing the danger at hand, Rep. Fine withdraws the proposed resolution and sprints out of the Capitol, heading toward the Emergency Room. The video cuts off before the ambulances and police arrive to begin the now-famous quarantine.